Description: The City Radio Officer is the liaision between the Auxiliary Communications Service and the Governor's Office of Emergency Services. 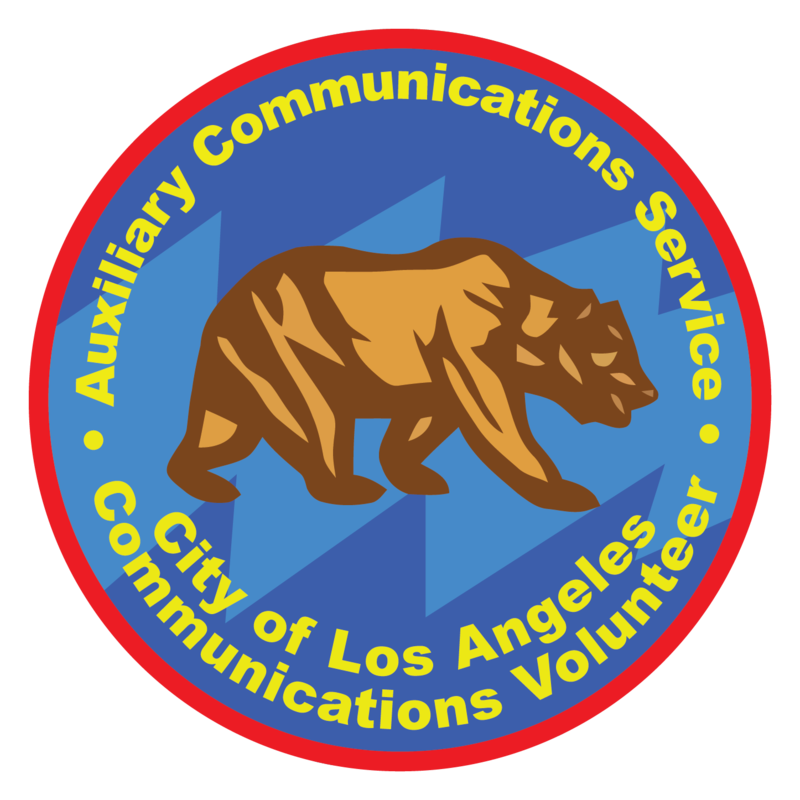 The City Radio Officer is also the primary contact between the Auxiliary Communications Service and the Los Angeles Fire Department. Description: The ACS Program Manager is the General Manager of the ACS Program and shall have control of all of its activities. Description: Will manage the activation and deployment of responders for drill and emergency activities including the activation of the paging systems and net control functions. He can delegate responsibilities to Bureau Communications Unit Leaders as deemed appropriate. Description: Is responsible for preparing the annual calendar of events, scheduling drills and training sessions, and will perform the document control function. Description: The ACS Logistics Officer is responsible for the maintenance and operation of ACS physical resources including the ACS trailer, mobile command posts, and radio equipment. Description: Administrative Officer will maintain the ACS Membership Rosters, member records, member applications, certificates, and other material and documents relating to membership and membership activities. The ACS Records Administer will perform document control and distribution functions. Description: The ACS Training Officer is appointed by the Command Staff and works at their direction to identify and develop training materials and methods as needed based on the ACS mission. Description: Will keep both organizations informed of current training schedules, radio channel plans (Comm Plan), and operational requirements. Description: ACS-Foundation Liaison will maintain contact with the LA Fire Department Foundation. Description: The ACS-Emcomm Group Liaison will maitain contact with other EMCOMM Groups and develop interoperability plans with these groups. Description: Is subordinate in rank to the Operations Officer, and is responsible for effective application of the policy, rules and regulations, practices and procedures of the ACS Program within her command. Description: Is subordinate in rank to the Operations Officer, and is responsible for effective application of the policy, rules and regulations, practices and procedures of the ACS Program within his command. Description:Is subordinate in rank to his BureauCUL and is responsible for the supervision and training of the ACS members in his Battalion. Description: Is subordinate in rank to his BureauCUL and is responsible for the supervision and training of the ACS members in his Battalion. Description:Is subordinate in rank to her BureauCUL and is responsible for the supervision and training of the ACS members in her Battalion. Description: Is subordinate in rank to his DCUL and is responsible for the supervision and training of the ACS members in his Battalion.